Sleeping al fresco in cold weather. Yes, it seems like the obvious option. It is a common mistake to choose a sleeping bag that isn’t up to the job; leaving you feeling the cold when the temperature drops. The first thing to check is the temperature rating of the sleeping bag and to ensure that you understand these ratings. At Vango, we use a certified test centre to make sure our bags exceed EU standards and our temperature ratings are statistically accurate. Outlined below is how we classify our ratings - this will help you choose the best bag for your adventures! 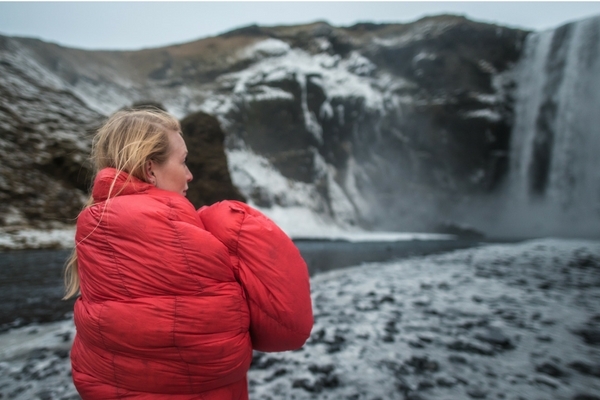 Comfort: At this temperature you should be comfortable sleeping in this sleeping bag with the zip closed and minimal clothing on such as a base layer or pyjamas. Limit: The limit is the lowest temp of suggested usage for the sleeping bag. This is when your body will be pushed past your comfort zone and you will need to add more layers, clothing, hat and socks to keep your body warm. Using the bag beyond this temperature falls into the risk zone and should definitely be avoided. Extreme: You should never aim to sleep in these temperatures in your sleeping bag! The technology may help save your life but extreme temperature ratings are beyond what the bag has been designed to be used in. If you plan to sleep in these temperatures you need to upgrade to a more insulative sleeping bag. Season ratings: For a winter camp you should look for a 4 - 5 season bag to keep you warm in low temperatures dependant on conditions. 1 Season would be suitable for warm temperatures found in summer with 4 Season bags good for winter trips and 5 seasons made for more extreme conditions. + Always aim to camp no colder than the comfort rating on your sleeping bag. + Body temperatures and sensitivity to the cold vary from person to person so if you feel the cold more than most always over compensate! + Women, statistically speaking are also more likely to feel the cold, particularly in their extremities so a warmer bag than technically required is often a good choice for them. For this very reason our Nitestar 300W sleeping bag has a fleece lined footer providing extra warmth where you need it most. + Personally we love a good pair of fluffy socks, and a hot water bottle made on the campfire is a great treat to pre-heat your sleeping bag in frosty conditions. Both down and synthetic sleeping bags have their own merits. Considering what the conditions will be like when you camp will help you decide which is best for you. Below is a quick Vango guide that will help you decide. Down is super warm (the warmest insulation available) and compresses to a tiny pack size but is adversely affected should it get wet. Synthetic is great for wet conditions and much easier to look after but it’s pack size and insulative properties are not as good as down. We recommend using a down-filled bag such as a Venom 600 or F10 series Vulcan if you are camping in very cold but dry conditions such as on a glacier in the alps. Down is light, compact and provides the ultimate warmth for your adventures. Make sure you store it in the large storage sack it comes with. Storing down compressed will damage the fill and make it less effective. If you are camping in conditions where it gets cold but your bag may get wet and dirty regularly (eg the UK!) then a synthetic bag like the Ultralite Pro 300 may be a better option. It still has a small pack size and a comfort rating of -1° but will continue to perform even if it becomes wet and is much easier to wash and store. Keep an eye on the weather before you set off! Then make an assessment as to where and when you will most use your sleeping bag versus and how extreme the conditions may get. This will allow you to work out what bag you need depending on the temperature and the conditions! Having your back against cold icy ground under can send shivers up your spine and drop your core temperature rapidly. Having a sleeping mat such as a Trek mat or F10 Aero will not only add padding to your sleep system but more importantly will create an insulative barrier between your body and ground. This will stop the cold seeping through during the night for a comfortable night’s sleep. 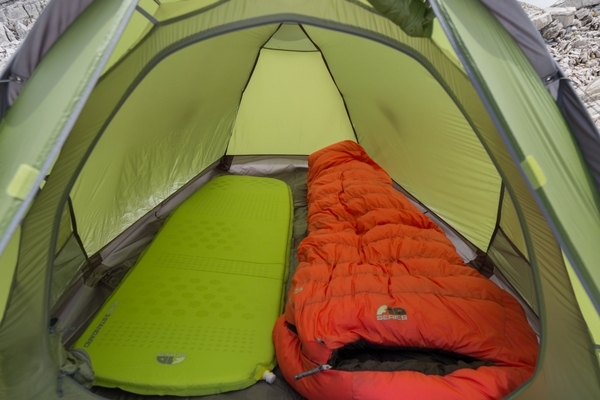 A sleeping bag and mat should be considered as two equally important pieces of kit. We think the most important thing is to be prepared. Don't overstretch your limits and know your body and what it needs. Wrap up warm and have a great night out under the stars finding your Spirit of Adventure! !